After the election of Donald Trump, ALEC published a triumphant missive touting the increased influence that would come thanks to “the incoming presidential administration’s focus on rolling power back to the states and the sheer number of ALEC alumni in the new administration.” Former Texas Gov. Rick Perry, now the Secretary of Energy, and Vice President Mike Pence both spoke at ALEC’s 2016 conference. 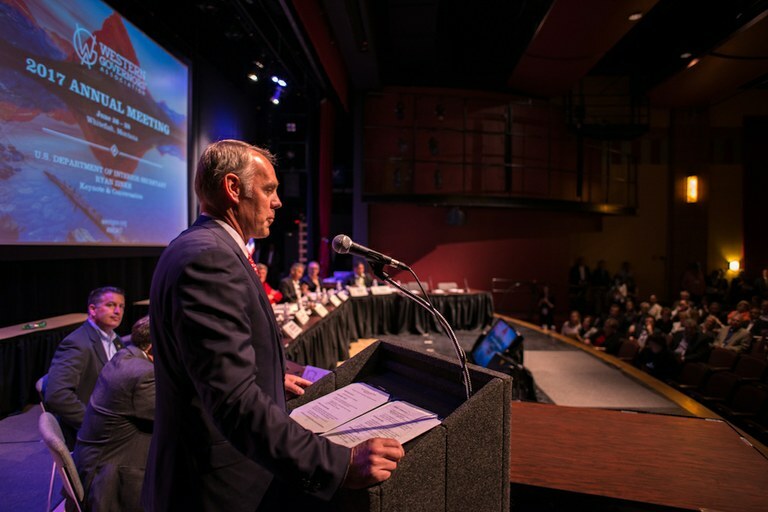 Secretary Ryan Zinke speaks at the annual Western Governors Association meeting, a different event than ALEC's July meeting in Denver.